To stay informed, please email us, and request to be placed on our email list [email protected]. Contact us with any suggestions on events, to host an event, volunteer, or just to reach out to us! We look forward to connecting with you sharing God's love! 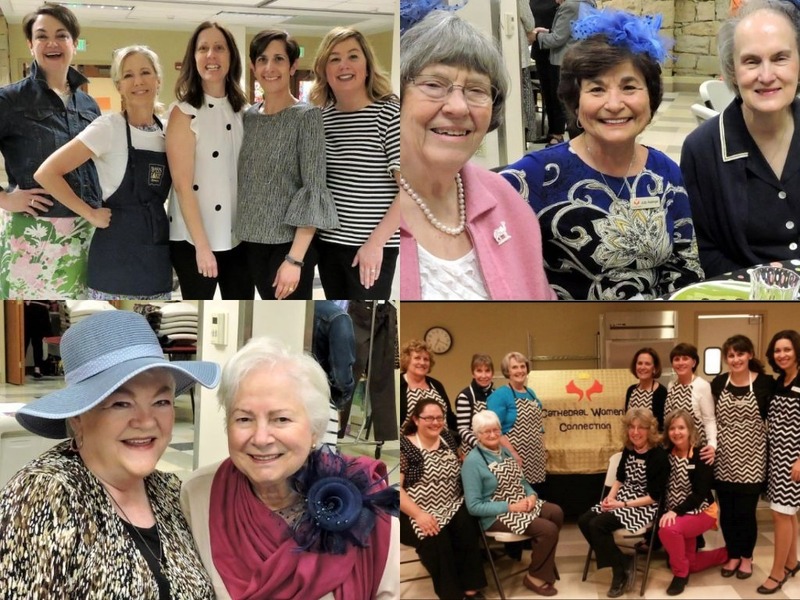 Cathedral Women's Connection events are just as meaningful and engaging attending as volunteering! We invite you to assist with your time and talent, as you are able. Helping out during the events is a great way to engage with other women in the ministry while serving your parish. Review the Events Calendar and then contact us with the dates/events that you are available to volunteer. We truly appreciate your support! Note: To ensure the name on the badge is spelled correctly, the company prefers e-mail contact be used initially to order a name badge. Wear your name badge to Mass and to all St. John's events, not just to CWC's events. Spread the hospitality of the women's ministry!